Abby got to come home Saturday afternoon. Since then we've been enjoying some time with Mark's parents who are in town for a visit. It's been springlike outside so we've been trying to soak in the nice weather. 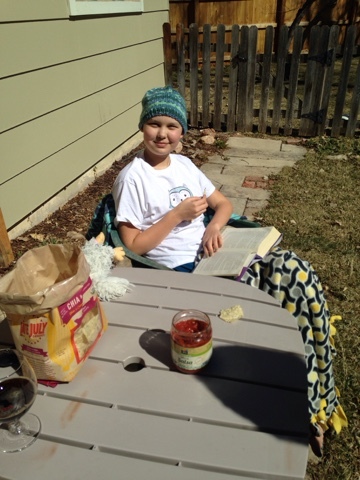 We have this week off and then Abby starts her bone marrow transplant workup two weeks. Hoping it's a low-key week with nothing eventful happening.